Pictorator helps you share images on the Internet with ease. It is designed to be simple, reliable and fun. 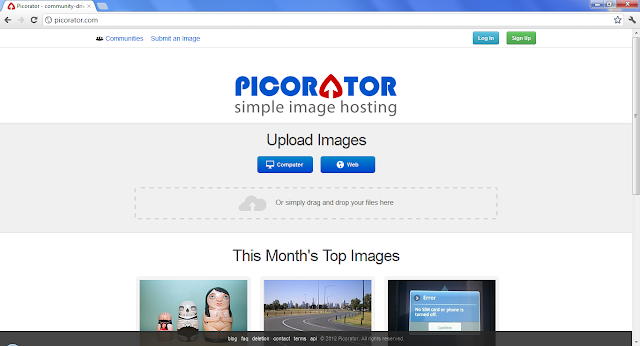 You can upload images anonymously and share them on other websites in just a few clicks, or browse popular images right here.